Usage notes: If you have a gap between your front teeth, you’re in luck – at least according to the French. 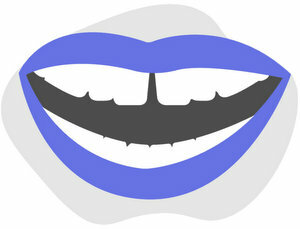 They call the teeth on either side of a gap dents du bonheur or dents de la chance. While many cultures consider the gap unattractive and something to be fixed, chez les Français it’s fashionable and alluring.